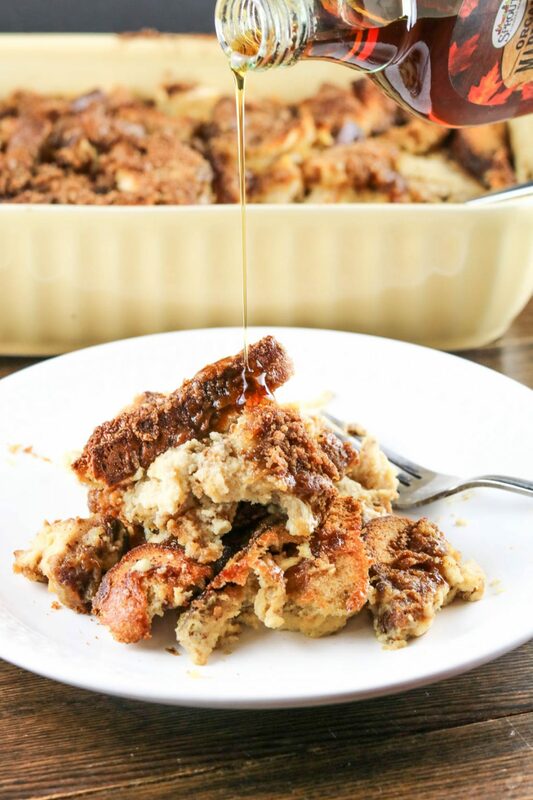 Today I’m bringing you this gluten-free overnight french toast bake. 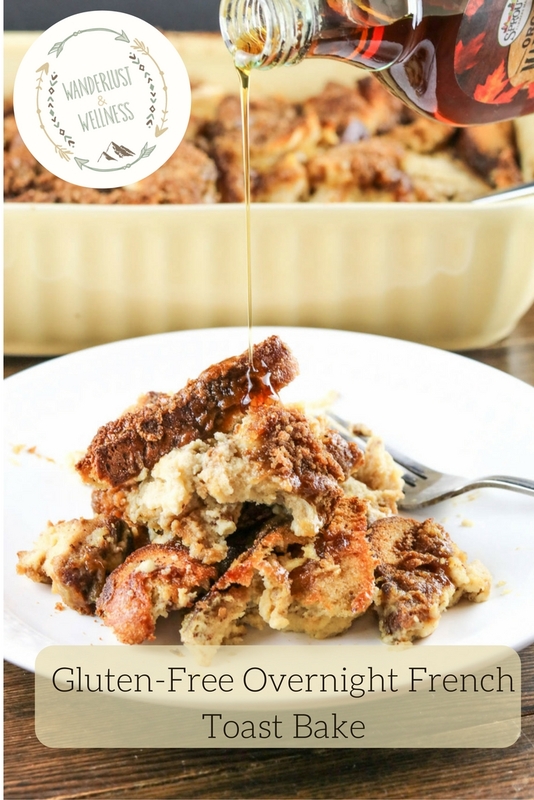 This french toast bake is super easy to put together the night before, then throw it into the oven the next morning and voila, the kids have a fancy dancy breakfast before school. Or enjoy this on the weekend or on holidays, whatever you choose! 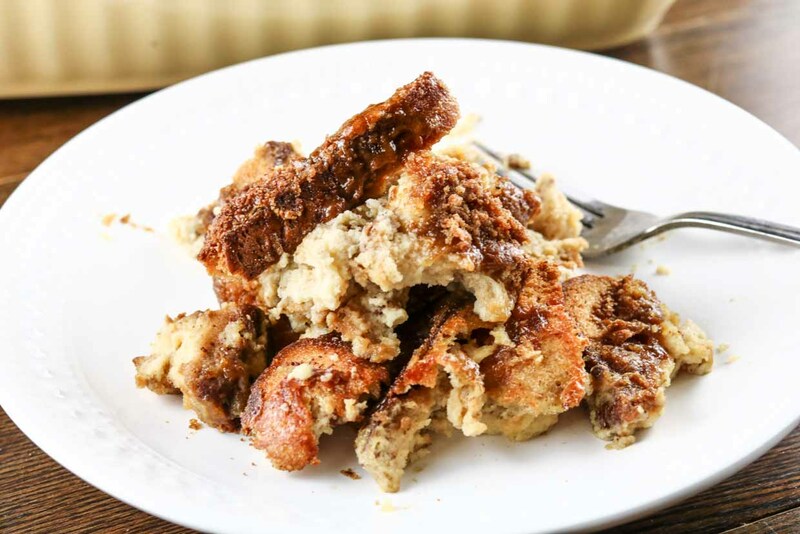 This french toast bake is gluten-free, dairy free, and free from refined white sugars. You can feel a little less guilty knowing this occasional treat won’t wreak havoc on your digestive system. I do want to stress that although this is gluten-free and contains no white refined sugars, I would still recommend this as an occasional treat. I only say this because it’s easy to dive into lots of gluten-free treats and, let’s be honest, our bodies still prefer wholesome natural foods like vegetables, quality protein, and complex carbs. 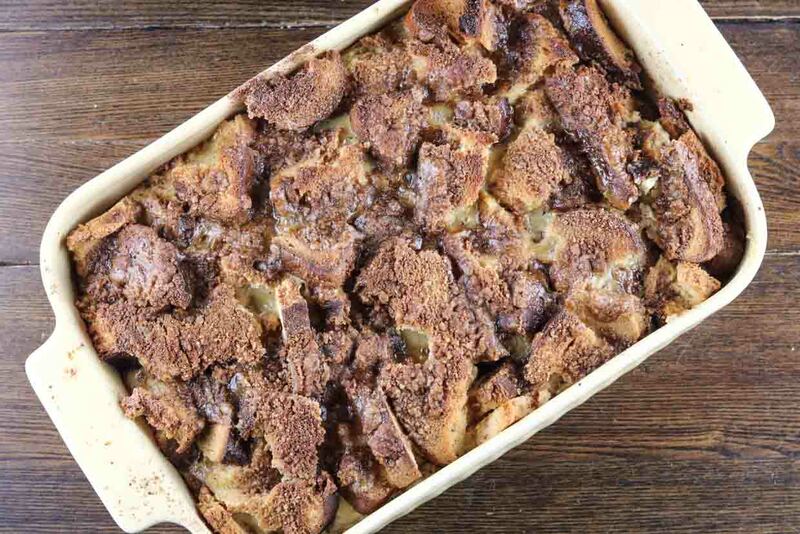 But be reassured that this french toast bake includes ingredients that are less inflammatory to our systems. But don’t get too worried about all of that, that’s all information you can learn and digest over time. In the meantime, sit back and eat the sh*t outta this with a nice, hot cup of coffee. Grease a 9 X 13 baking dish with coconut oil or butter. Tear bread into pieces and place into the greased baking dish. 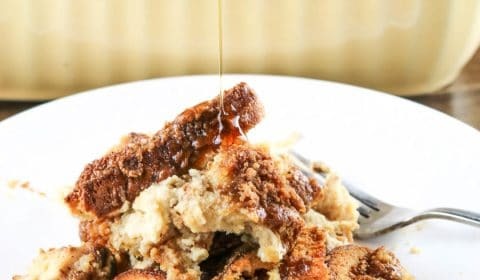 In a large mixing bowl, whisk together eggs, coconut milk, sugar, vanilla and cinnamon. Pour over the bread in the pan, cover, and place into the refrigerator overnight. In a small mixing bowl combine the coconut sugar, flour, cinnamon and butter. Using a fork, mix the ingredients, cutting the butter into the mixture until you have nice crumbles. Sprinkle on top of the bread, cover with foil and place in the oven. Bake for 20 minutes, then remove foil. Bake for an additional 30-40 minutes. Insert a knife in the center to make sure it’s completely baked (knife will come out mostly clean, not runny). Remove from the oven and let rest for 5 minutes. Serve with pure maple syrup if needed.